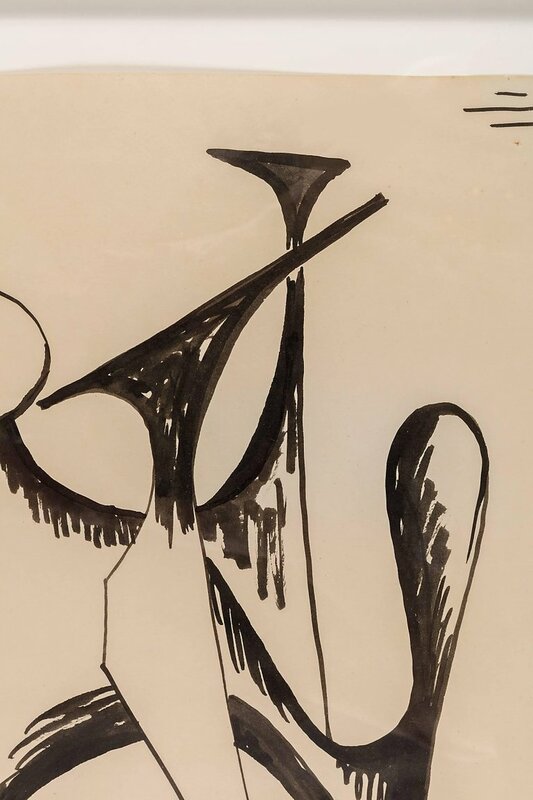 A representation on paper of one of Calder's spectacular stabiles. This work is registered in the archives of The Calder Foundation. There are several gallery and museum labels affixed to the backing. H 14 in. x W 11 in. x D 1 in.